With the iPhone 8 and iPhone X, Apple has finally joined the wireless charging revolution. For years, many Android users have had the ability to simply plop their phone on a pad to juice it up, but to do that with an iPhone used to require a special (and bulky) case. We have some general buying advice that will help ensure you get a wireless charger you’ll be happy with. There are two major standards for wireless charging: PMA (Power Matters Alliance) and Qi (pronounced “chee”). If you see a charger that only supports PMA, keep moving. The new iPhones only support Qi. Fortunately, Qi is by far the most common standard for consumers, so you shouldn’t have much trouble finding a compatible charger. What’s more, every Qi compatible charger should work just fine with the iPhone 8, 8 Plus, and X, even if it doesn’t specifically list support for them on its packaging or marketing materials. You can buy a charger at an Apple Store if you really want to guarantee compatibility, but you’ll limit yourself to the two models currently sold there: The Belkin Boost Up ($59.95 at Apple.com) and the Mophie Wireless Base ($59.95 at Apple.com). Both of these chargers are also available on Amazon, which we link to in the boxes below. 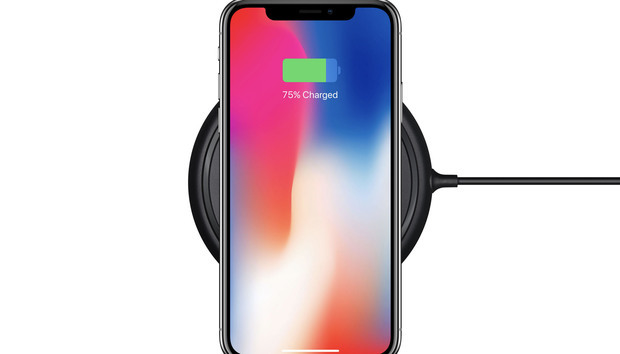 The new iPhones shipped with initial wireless charging limited to just 5 watts. That’s pretty slow, but then again, the in-box power adapter is also only 5 watts. So wireless charging really isn’t any slower than the (admittedly pitiful) power adapter that comes in the box. The iOS 11.2 update increased the maximum wireless charging speed to 7.5 watts. That’s 50 percent faster, but charging speeds vary, and they slow down a lot as the battery gets full. Still, if you want the best performance in a wireless charger, look for one that can support 7.5 watts or more. Some pads, like RAVPower’s Fast Wireless Charger, support faster charging speeds only on some Android phones, but are limited to 5 watts on iPhones. RAVPower makes another charger, also simply called the Fast Wirelss Charger, that supports the faster speed on iPhones. Same brand, similar name, but different chargers with different capabilities on iPhones. Be sure to read the fine print! You’ll see two types of wireless chargers on the market: flat pads, and angled stands. A flat pad is simple and easy, but you might want to consider a stand. With a stand it’s a lot easier to use your phone while it’s charging up. And with the iPhone X, a standing charger makes it easy to unlock your phone with Face ID without picking it up. Want the best of both worlds? We’ve had no problems using the Samsung Convertable Stand, which has a luxurious padded top and slides easily between flat pad and angled stand. If you get a stand instead of a flat charger, you’d be wise to make sure it’s made to work with your phone in both landscape and portrait orientation. Most of the time, you’ll plop down your phone standing upright. And Face ID on the iPhone X only works when the phone is upright, too. But a charger that works well with your phone in landscape mode makes it easy to play certain games, and of course watch videos, without taking your phone away from those precious free electrons. Some stands even guarantee better charging performance with your phone set either way by having two charging coils, like the Anker PowerPort. If you keep a case on your phone, you shouldn’t worry too much about whether it will work with a wireless charging pad or stand. The vast majority of cases will work just fine. The first is a case with a metal back (or a battery case). That Betteck battery case ($33.99 at Amazon) may seem attractive with its extra 5,200 mAh of extra juice, but it won’t work with wireless chargers. The second is a wallet case. A particularly thin one like this Silk iPhone X Wallet Case ($24.99 at Amazon) might actually work, but electromagnetic induction and credit card stripes just don’t mix. If you don’t want to screw up your cards, don’t put them between your phone and a wireless charging stand. The third is especially thick cases. Most chargers will work fine on any case up to 3mm thick, and some can go through a 5mm case with ease. But maybe you’re a demolition derby racer and also work construction plus you’re a rodeo clown on the weekends. Maybe you have an extra-rugged case. If so, it’s probably too thick to get a wireless charge going, even if it doesn’t have a metal back (as many extra-rugged cases do). Of course, if you bristle at the idea of buying non-Apple stuff, you can just wait for the AirPower wireless charging pad. Apple’s pad uses Qi charging together with its own custom extensions that let it charge several different devices at once, along with reporting charge levels. You can charge your iPhone, Apple Watch Series 3, and AirPods (you’ll have to get a new wireless-enabled charging case) all at the same time! 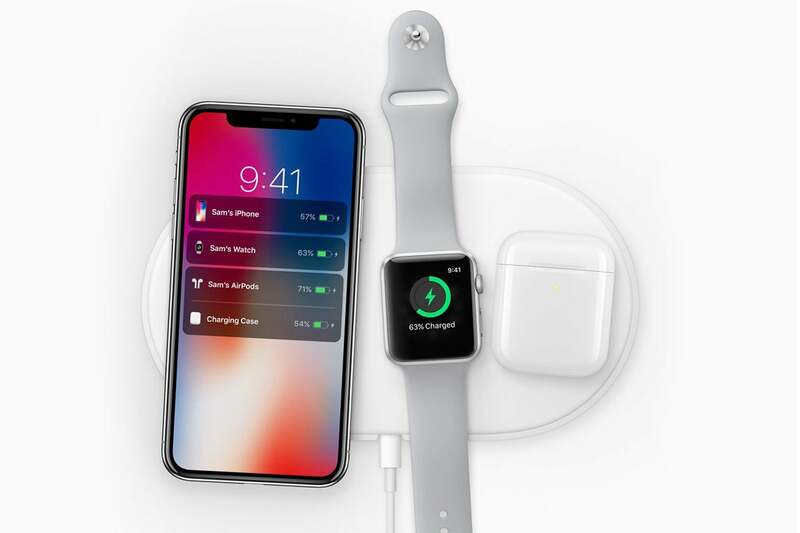 AirPower will charge three devices at once, and your phone will even display charge levels for everything. Unfortunately, Apple has not yet revealed the price nor release date for the AirPower pad nor the wireless case for AirPods. Both are coming in 2018, and that’s all we know.